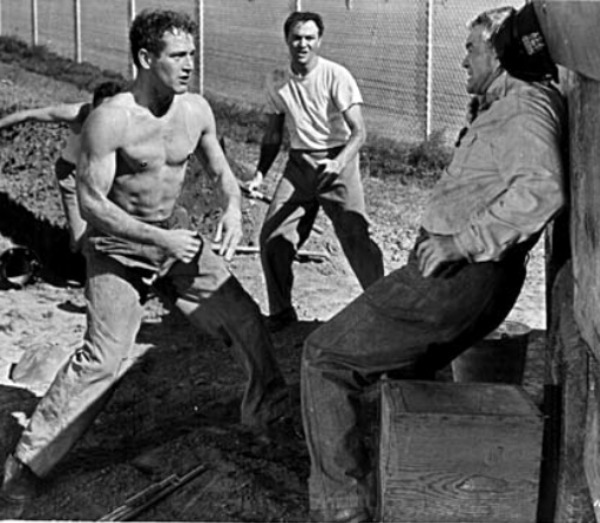 Rocky Graziano (Paul Newman) is a kid from the wrong side of town. Abusive dad, bad neighborhood, gang activity, the whole gamut. In and out of trouble with the law since he was big enough to cause trouble, he finds his way into a maximum-security prison sentence. After that, he’s drafted into the Army (against his will, of course) and goes AWOL. While he’s hiding from the authorities, he discovers he has a single marketable skill – he can fight. And not just fight, pulverize. So he starts taking boxing bouts to earn petty cash, which he sends back to his poor mother, who’s literally sick with anxiety over what’s happening to her boy. Of course, it doesn’t take long before the Army finds him, and next thing he knows he’s back in prison, in Leavenworth, for another stretch. While there, he’s given actual boxing training. Till now, he’s been a brawler, enough to pick up $10 and $25 fights here and there. But the instructor at the prison sees headliner potential in Rocky, and decides that the kid needs a future to look toward if he’s going to stay out of trouble. Sure enough, seeing the potential for a real career is enough to help Rocky want to stay on the straight and narrow and become a professional boxer. Enter Norma (Pier Angeli), a tender-hearted friend of his sister’s. They quickly fall in love, but Norma hates boxing and brutality of any kind. While Rocky is eyeing the Middleweight Championship title, Norma has to do her best to keep their family a family. Meanwhile he faces legal challenges and the mob, all in his quest to achieve his dream. This is the movie that made me love Paul Newman. It’s coincidentally also the movie that set him on the track for stardom. He’s a little old for the role, since he was in his early 30s and Rocky’s story starts while he’s in high school and covers maybe 10 years. But his energy is so strong you don’t really think about the age difference. 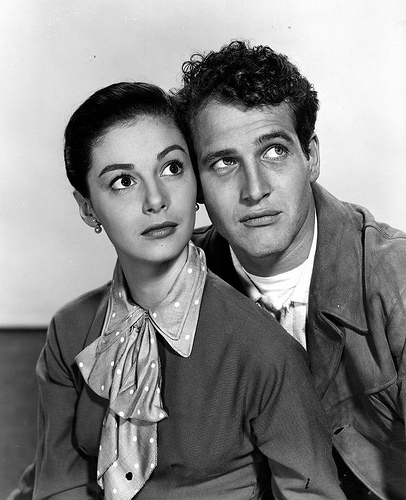 I also learned this weekend that Newman was only given this role after James Dean died, who was slated to play it. 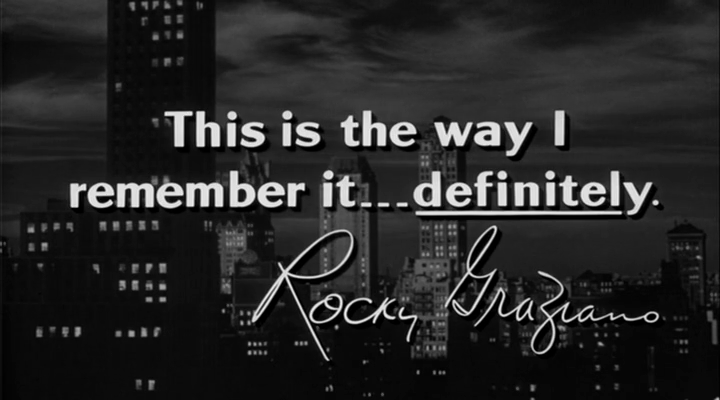 And, of course, this movie is based on the life of the real Rocky Graziano, based on his biography. I can’t find a whole lot of information to compare the two accounts, but as far as I can tell, at least the major facts are all correct, and it is quite a story, with great writing, a superb cast, and a compelling story that pulls you along for the ride. Some parts do get a little cheesy, others tear your heart out. Definitely a must-see.